Custom leather keychains are almost perceived as a sophisticated alternative to metal and plastic key chains. 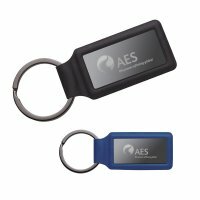 During these highly pressing economic times, it may be difficult for you to find a right promotional gift at cheaper prices. 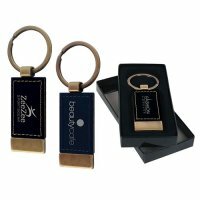 These logo imprinted personalized keychains will help to fulfill your branding requirements and at the same time gives a much needed boost to your brand name. 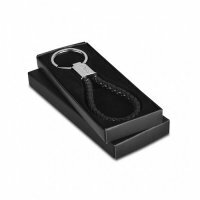 Perfect for bulk giving because we offer discounts on wholesale orders of these customizable leather keychains. 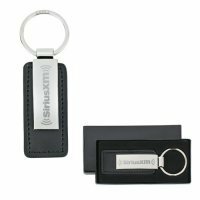 Promotional leather keychains can easily spruce up a boring set of keys and your brand name with its charm. 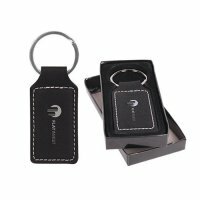 With these logo leather key fobs, you can excitedly watch your brand information grow rapidly because people cannot drop it from their arsenal easily. 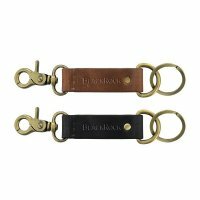 By handing out these personalized leather key rings, you can show everyone that thoughtful side of your brand. 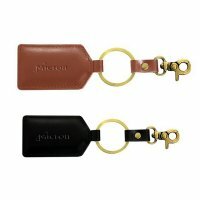 Indeed, these gorgeous printed leather key fobs are going to bring them long-term benefits against investment. Waterproof – Most people love to carry these keychains because it easily becomes their statement of pride. They also love tucking it to their belts or pockets during rains, which means a high moisture impairment. Most leather keychains are water resistant and stays in good condition because of their treated leather. Durability – Moisture resistance adds to its durability. Unlike some plastic keychains, leather keychains can bear abuses inflicted due to rough use. 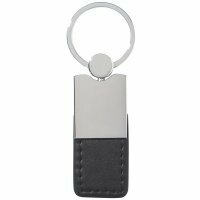 Styles – Leather keychains are offered in a multitude of styles and you can select them based on personal preferences and promotional requirements. 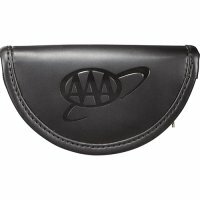 You can get your brand logo or initials of name imprinted on them for better visibility. 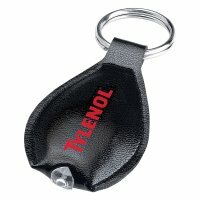 Cost Effective - Many people nurse an impression that investing in a leather keychain means drilling holes in your pocket. 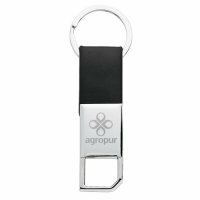 It is not true because although these keychains may cost slightly higher than plastic keychains, they remain affordable in terms of their sophistication, durability and resistance against abuse. 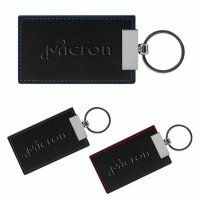 If you have made up your mind to invest in promotional leather keychains for value building during the next promotional event and wish to know more about its promotional aspect, your options and imprint options, feel free to reach out to us at 855-539-8247 or write to us at info@budgetkeychains.com.